Consider this: Many of today's top jobs didn't exist 10 years ago -- jobs such as app developers, social media managers, and cloud computing administrators. And, by 2018, it's predicted that there will be 21 billion networked devices and connections globally, up from 12 billion in 2013. The Internet of Everything (IoE) will bring everything together. But in our world of ever-expanding technology, it's important to remember what makes these connections possible: people. The good news is that the bourgeoning digital age is creating millions of information technology (IT) job opportunities for people. The bad news is that we aren't developing IT talent fast enough to keep up with the pace of demand. A ManpowerGroup study shows that in the Americas, 39 percent of employers report hiring challenges caused by IT talent shortages. Acute shortages were reported by employers in Brazil, India, Turkey, Hong Kong and Japan, where that number skyrockets to 85 percent. And across the globe, engineers, technicians and IT staff are among the top seven hard-to-fill jobs. So what does that all mean? Career opportunities in science, technology, engineering and mathematics (STEM) fields are more plentiful than ever. Yet the majority of U.S. students lack foundational skills in STEM. According to a recent report from the Community for Advancing Discovery Research in Education, of all 2012 high school graduates taking the ACT test, only 31 percent were academically ready for college science and 46 percent for math. Massive open online courses make acquiring new job skills faster, cheaper and more convenient than ever. Back in June, Udacity, together with AT&T, launched the nanodegree -- compact, job-focused credentials that you can earn in six to 12 months. Nonprofits like Science Buddies, Gooru Learning, and Khan Academy offer free online learning materials to anyone anywhere in the world. One way Cisco expands educational opportunity is through the Cisco Networking Academy program, delivered to 1 million students in 170 countries each year through an online learning environment called Cisco NetSpace. Through these and other emerging learning opportunities, students can connect with each other and the materials they need to prepare them for these growing career opportunities. Since 2005 alone, Cisco Networking Academy has contributed to 1.2 million students obtaining a new job. Many organizations are working to address the STEM skills gap. But are their efforts effective? Are they sharing best practices and analyzing their results? STEMconnector is the first national effort to identify, inventory and analyze STEM programs across the United States. Since its launch three years ago, 147 partners have joined the alliance, 6,000 STEM organizations have been catalogued and profiled on the site and 1 million students interested in STEM careers have been mapped to jobs in all 50 states. If your organization offers a STEM program and you aren't part of STEMconnector, I encourage you to get involved. It's free and offers vast resources and opportunities to collaborate with peers. The shortage of qualified IT talent creates unique potential for our military veterans. Today's fast-moving businesses need workers with leadership skills and a strong work ethic combined with an ability to learn quickly and work under pressure. Nothing could be more fitting than a veteran returning to the workforce, and over 1 million armed forces personnel will transition from military to civilian life in the next few years. Cisco's investments in the Futures, Inc. Pipeline job-matching platform help veterans find training, credentialing and job opportunities across many sectors. 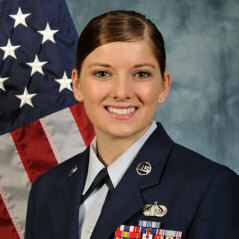 Take Sara Harbaugh, who spent six years in the U.S. Air Force working on a high-frequency global communications system. When she left the military, Sara struggled to translate her years of hands-on experience to a civilian job that paid what she was worth. The IT Training and Certification Program, built on the Futures, Inc. Pipeline, connected her to a fast-paced IT training course and a Cisco CCNA certification that made employers take notice. She landed a civilian Air Force job as director of training for a $235 million radio system. With advances in technology come new, in-demand career paths. The U.S. Bureau of Labor Statistics projects that industries such as software publishing, data processing, and computer systems design will grow dramatically in revenue and number of jobs between 2012 and 2022. For example, jobs for information security analysts are projected to increase by 36.5 percent. And the United States is expected to need 140,000 more application software developers. We must prepare people to be nimble enough to adapt to an ever-evolving marketplace. And we must help them develop skills that will be valued no matter what tomorrow's jobs are - skills like creativity, critical thinking, problem solving and collaboration. To prepare for the workforce, you have to understand the world. People who have worked in some capacity for the good of society are often well-equipped to meet challenges, think creatively and be innovative. Nonprofit organizations like City Year, AmeriCorps, Teach For America and the Peace Corps give young, socially aware people practical, real-world, professional experience by allowing them to devote one year or more to supporting schools and other civic organizations. While serving their communities, they learn valuable workplace, communications, problem-solving, and leadership skills -- skills that employers increasingly say are vital. According to a report by Voices for National Service, the workplace skills national service members acquire during their service term make them more likely to be employed and to earn higher salaries over the course of their lifetimes. Young people want to complete national service. In 2011, AmeriCorps received 580,000 applications for only 80,000 positions, only half of which are fulltime. Clearly, we need to create more opportunities for young Americans to serve their communities, and build their career skills in the process. While some paint a picture of dire consequences when it comes to the growing bridge between IT workforce needs and IT workforce readiness, it's really a map of possibilities. These days, we literally have the whole world in our hands - through our computers, our smart phones, and our tablets. It is certainly within our reach to connect human potential with our technology future. Watch ImpactX and follow Cisco CSR on Twitter as we continue to discuss ways to multiply impact and bring positive change in the world.